Flaunt a new ethnic look wearing this saree. Featuring a beautiful mix of prints, this saree is a must-have in your ethnic wear collection. Made from Chinnon Silk, this saree is easy to drape. 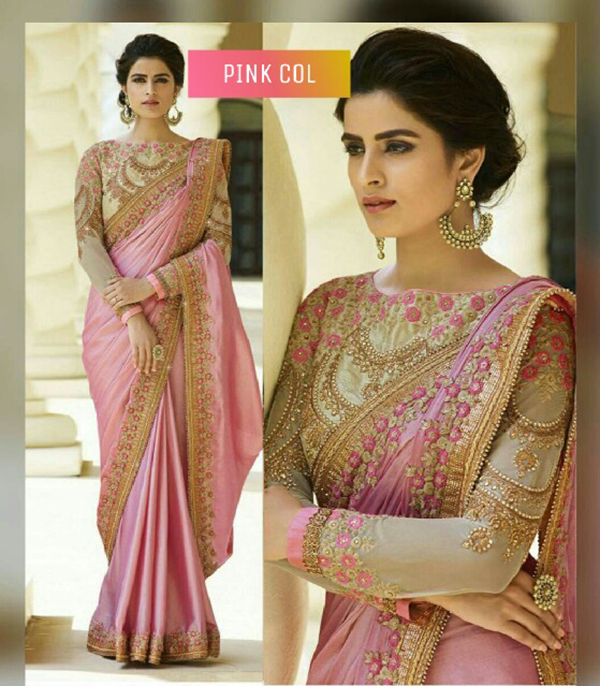 Fashion and trend could be at the peak of your beauty the moment you attire this Pink designer saree.This sadi look has been enhanced with its unique lace border work, which gives the wearer an eye-catching look. sari paired with an unstitched heavy banglory and net with full embroidery work blouse. You can wear these shari for casual outings, office, regular social meets and other homely events. Pair it with traditionally stylish accessories to complete the look.